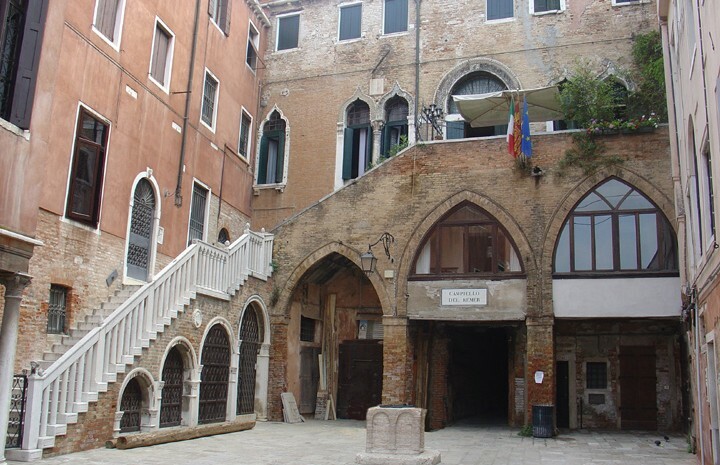 Among the beauties of Venice that make the city a magical and unique place, we really recommend to discover the historical Campiello Remer, a surreal glimpse that lies between the venetians streets “calli” just few steps from Rialto! The charm that pervades Venice is definitely so difficult to describe in words, only by living the lagoon city in person you can let yourself be enchanted by its magic. Do you want to experience something different from the usual tourist destinations? We suggest to discover this charming glimpse absolutely not far from the famous Rialto bridge: the Campiello Remer. Furthermore you can enjoy a nice and relaxing evening time sipping your drink along the shore of the small square where inside lies a wonderful staircase that leads to a lodge in Gothic style: the view in front your eyes will not disappoint you, during the nightfall the atmosphere is one of the most impressive making you appreciate even more a magical corner that beats in the heart of the lagoon city. In the small square you can enjoy your time inside the cute restaurant tasting some venetian dishes and admiring some places of Venice along the Grand canal: Rialto bridge, the Campo dell’Erbaria, the Camerlenghi Palace, the Fabbriche Nuove building. 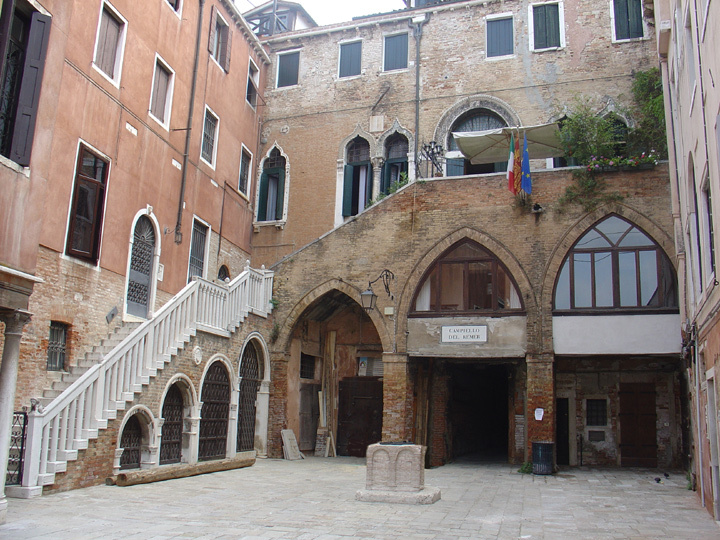 For all the Venetian lovers a mix of mistery and romance: the Campiello Remer.